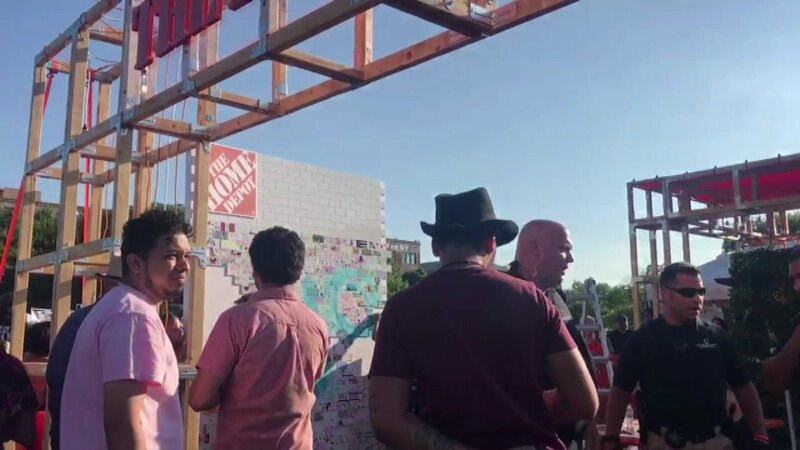 CHICAGO (WLS) -- Anti-President Donald Trump protesters tried knocking down a wall sponsored by Home Depot at Ruido Fest in Chicago's Pilsen neighborhood Saturday. The three-day outdoor Latin music festival took place over the weekend in Addams-Medill Park. Home Depot's booth had a wall that people could decorate, but protesters found is distasteful and began chanting and knocking it down. Witnesses said security eventually cleared the protest. Some suffered minor injuries from falling debris. In a statement, Home Depot said they were at the festival to show their support for the community, and that "this was a very disappointing misunderstanding."